This is what I call a real turtle dude! I mean…a turtle with character! 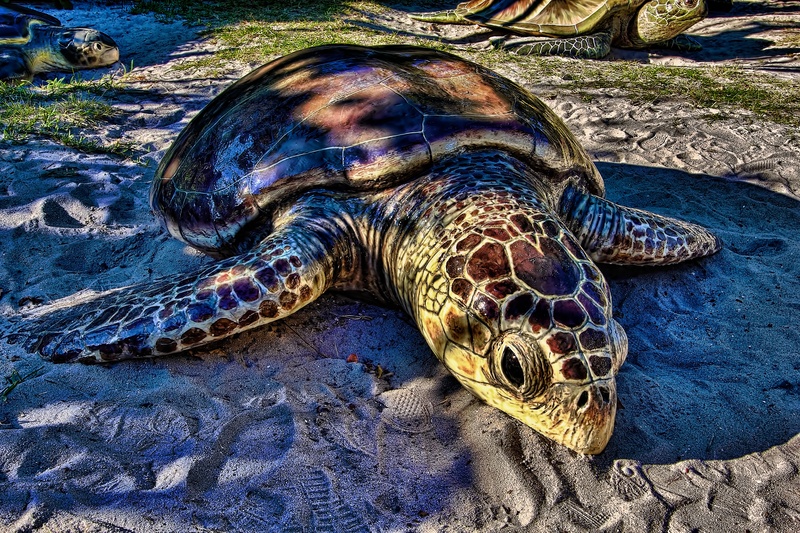 Living in South Florida, turtles always get special treatment on our beaches. Their nests are protected & people cannot have bright lights on the beaches at night so as not to endanger the the turtles. This HDR brings out the the rich color & character of this slow but sure creature. I never met a person that did not like a turtle, except the guy that got his finger snapped one day by a local “snapping” turtle. It’s always a tense moment when a turtle begins to cross a road. The question always comes up…”Is he going to make it?” Sometimes he does & sometimes he doesn’t. Sometimes a nice, caring person comes along, stops their car & gets out and helps speed up the long journey across the street. Then comes the sigh of relief…..another turtle has finally made it to his destination.